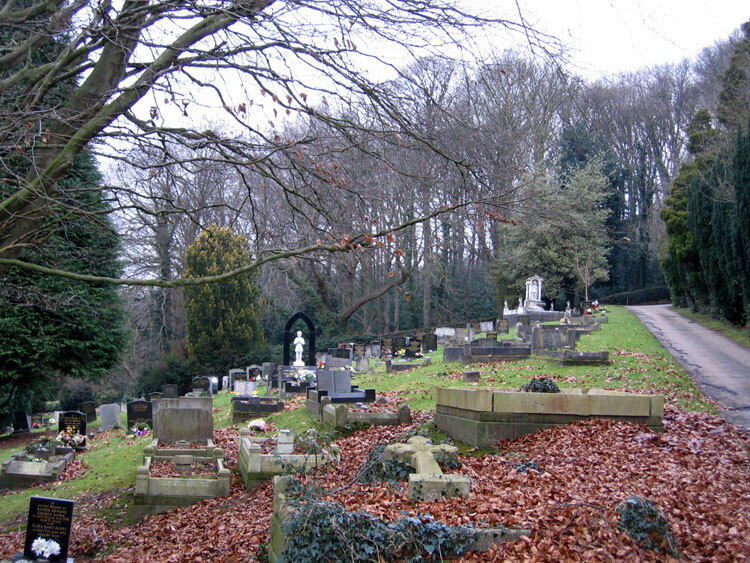 Belper Cemetery, showing the family grave of Charles Spencer and his parents in the right foreground. Belper Cemetery, Derbyshire, contains 38 Commonwealth War Grave burials from both the First and the Second World War. One of the First World War burials is of Private George Charles Spencer of the Yorkshire Regiment. Additionally, there is a family grave in which a soldier of the Yorkshire Regiment is commemorated. 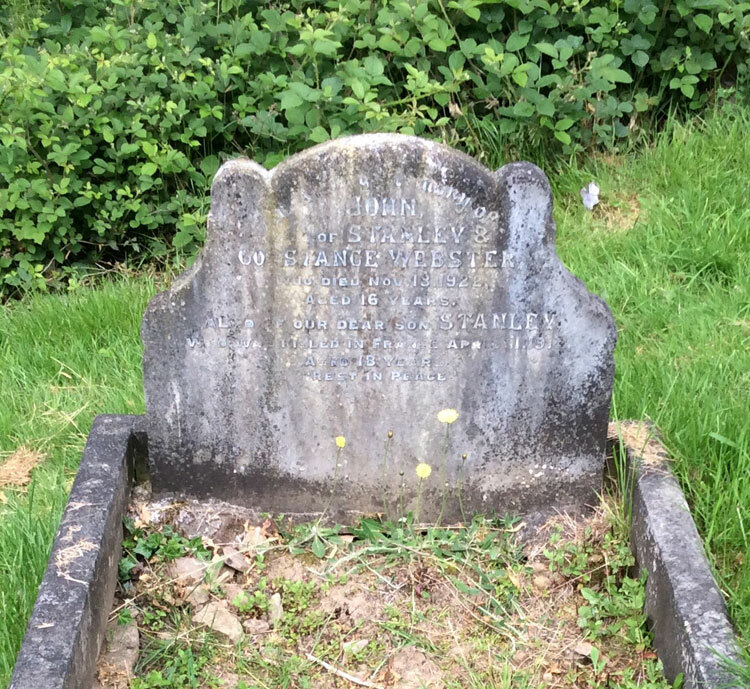 We are extremely grateful to Richard Roberts (<richard@nosnailshere.co.uk>) who has provided a photo of the cemetery and of the Spencer family grave, and to Jill_S of the Find A Grave website who has provided a photo of the Webster family grave. Private George Charles Spencer. 43202. 17th Battalion the Yorkshire Regiment. Son of Charles and Kate Spencer, of 88, Nottingham Rd., Belper. Died at home 17 May 1917. Aged 22. Born Belper (Derbyshire), Enlisted Derby, Resided Belper (Derby). Private Spencer is buried in a grave shared with his parents, Charles and Kate. 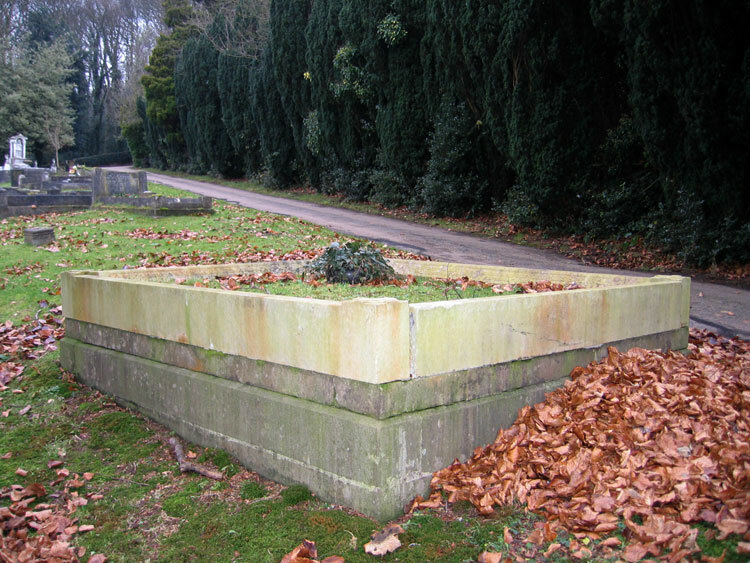 There is no headstone to the grave, and the names are recorded on the top of the kerb that runs round the grave (see photo above, and below). Private Spencer served in the 17th Battalion, of which there is no recorded history on Wylly's "The Green Howards in the Last War". All that is stated is that the 17th Battalion was a Labour Battalion. Private Stanley Webster. 35277. 5th Battalion the Yorkshire Regiment. Son of Stanley Webster, of 1, Halfway Houses, Derby Road, Belper, Derbyshire. Killed 11 April 1918. Aged 18. Born Belper, Enlisted Derby, Resided Belper. Buried LA KREULE MILITARY CEMETERY, HAZEBROUCK. ALSO OF OUR DEAR SON STANLEY / KILLED IN FRANCE APRIL 11 1918 / AGED 18 YEARS / REST IN PEACE"